Dr Ellen Fetzer, Project Coordinator: Ellen Fetzer holds a doctoral degree in landscape architecture from Kassel University, Germany. The focus of her work at Nürtingen-Geislingen University is on computer-supported collaborative learning. She further coordinates a Master programme in landscape architecture. Ellen coordinates this ERASMUS+ project. 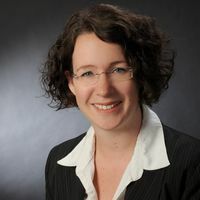 Prof. Dr. Erskin Blunck: Erskin Blunck holds an MBA from Portland State University and a doctoral degree from University of Hohenheim in Stuttgart, Germany. 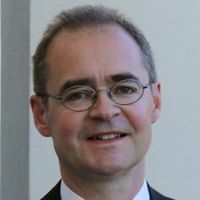 The focus of his work at Nürtingen-Geislingen University is on International Management, Strategy and International Sustainability Management. He is Vice Dean of the Faculty of Agriculture, Economics and Management and Programme Director of International Management, which offers Social Entrepreneurship for Local Change as an elective. He is member of the Institute for International Research on Sustainable Management and Renewable Energy (ISR) at Nürtingen-Geislingen University. 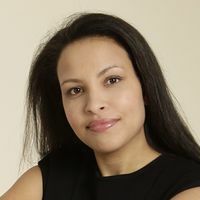 Dr Yasmine Kaiser: Yasmine Kaiser holds a PhD in Management Education, a post-master's Degree in College Teaching, a master's degree in Human Resources, and a bachelor's degree in Business. Her Dissertation was: Self-Efficacy, Burnout, and Success of Small Business Owners in New York. She teaches Business and Intercultural Communication. 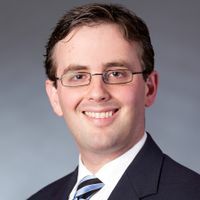 Jonathan Tilley: Jonathan Tilley completed his MBA in International Management at Nürtingen-Geislingen University, where he wrote his Master's Thesis on Social Entrepreneurship for Local Change. He has a Bachelor of Arts in International Affairs from Florida State University and has worked in various non-profits and student programmes. Jonathan has left the project at the end of November of 2016. Felix Toepler is currently doing his MBA in International Management at the NGU. He works in the SE4LC programme as a research assistant and tutor. Before that, he was working as a social pedagogue in Freiburg, Germany. Stuti Sareen: Stuti is an Architect from India and presently pursuing her master degree in course "International Masters in Landscape Architecture" (IMLA) at Hochschule Weihenstephan Triesdorf, Freising Germany. She has successfully participated in "Social Entrepreneurship for Local Change 2016" and "Landscape Education for Democracy 2016" in online seminar as well as in Intensive onsite workshops. 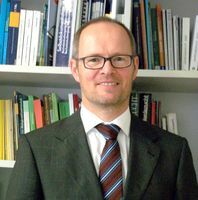 Prof. Dr. Friedemann Baisch: He covers the field of General Management at NGU since 2005. His research interest is Organziations Design. After a Diploma at University of Stuttgart he developed a profound business and research background by working for e.g. Hewlett-Packard or Fraunhofer Gesellschaft. He holds a doctoral degree from University of Leipzig. Ana-Maria Mihut: Ana-Maria is currently following an Erasmus Programme at the Nürtingen-Geislingen University. She holds a Bachelor Degree in Economics and is currently enrolled in the MBA Programme at Babes-Bolyai University in Cluj-Napoca, Romania. Driven by the need of getting more knowledge and experience in the social entrepreneurship field, she took the role of a student assistant for the SE4LC project starting with November 2016. Prof. Dr. Petra Dickel: Petra Dickel is Assistant Professor for Entrepreneurship at the Institute for Innovation Research at the University of Kiel. Her research focuses on sustainable entrepreneurship and entrepreneurship education. Further research topics deal with academic spin-offs and entrepreneurial behaviour in established organizations. Frauke Godat: Frauke Godat is a political scientist with a degree from the Free University in Berlin. She is currently working in a team of learning consultants at Kiel University to support problem-oriented teaching formats across all faculties. Her field of work is in Social Entrepreneurship, Service Learning, and Sustainable Development Education. 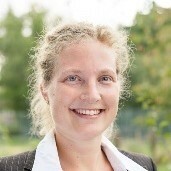 Susanne Köhler is a master student at Kiel University focusing on Sustainability Economics and Social Entrepreneurship. She holds a B.Sc. in Environmental and Resource Management. Susanne has participated in the ERASMUS+ online course and intensive programme herself before becoming a tutor. 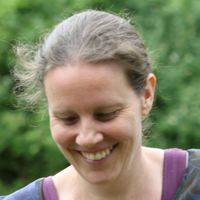 Jana Nau is a master student in the program Sustainability, Society and the Environment at the University of Kiel. She holds a bachelor degree in Geography and Economics. The focus of her studies is on urban development and social entrepreneurship. She is the co-founder of the NGO kulturgrenzenlos e.V, a tandem project between refugees and students in Kiel. Katharina Knapp is a PhD student with the research topic "Social Impact Measurement in Social Entrepreneurship" and works as a research assistant at the Institute for Innovation Research at the University of Kiel. She holds a MA in Sustainability Economics and Management (University of Oldenburg) and a BSc in Business Administration (Humboldt University of Berlin). Dr Linda Kleemann: Linda Kleemann advises social sector and social businesses in strategy and organizational development. She holds a doctoral degree in agricultural and development economics from the University of Kiel, Germany and a master degree in economics. She co-designed and taught the first German MOOC on social entrepreneurship. 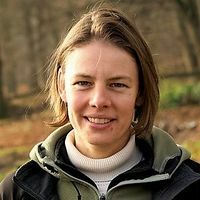 Dr Judith Jobse: Judith Jobse earned a PhD degree at Oregon State University (USA) in Ecosystem ecology where she published her dissertation, and taught 17 courses. Before moving to Oregon she earned a MSc in Environmental Sciences from Wageningen University and a BSc in Environmental technology from HAS Den Bosch University of Applied Sciences, while holding practical experience both in the Netherlands and abroad. 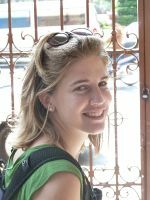 In 2008 she started at VHL as a lecturer in the (Tropical) Forest and Nature management program. She also lead a 3 year KIGO-project which involved the innovative NGO Rewilding Europe and two Eramus intensive programmes (in 2013 and 2014). Together with VHL colleagues she wrote two publications on nature and wilderness entrepreneurship education. Judith is working on integrating Social Entrepreneurship for Local Change courses into a Minor of Sustainable Entrepreneurship at VHL. Prof. Monica Dudian Monica Dudian is a Professor of Economics at the Bucharest University of Economic Studies, where she received her PhD in Economics. She holds a Diplôme Internationale de Management from IAE Toulouse. Her teaching is focused primarily on Microeconomics. She directs research grants and performs research on credit risk and industrial organization. Prof. Carmen Păunescu: Carmen Păunescu is a professor at the Bucharest University of Economic Studies (ASE), Romania. She holds a doctoral degree in Economics from ASE. The focus of her work at ASE, both teaching and research, is on entrepreneurship and business continuity. Carmen further coordinates doctoral thesis in the field of social entrepreneurship and innovation. 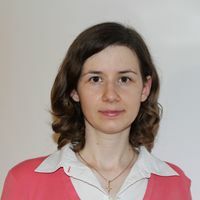 Dr Carmen Acatrinei: Carmen Acatrinei is a Lecturer at the Bucharest University of Economic Studies (ASE). She holds a doctoral degree in Economic sciences – Marketing, title obtained at ASE, in 2011. She has been studying and conducting research about the online environment and the employment of its marketing tools. Her teaching is mainly focused on online marketing. 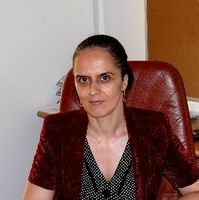 Simona Goia: Simona is an associate professor at the Bucharest University of Economic Studies (ASE), Faculty of Business Administration in Foreign Languages. She holds a PhD in the field of Business Administration since 2011 and she teaches within the German and English Department of the faculty. Her scientific interests include: social entrepreneurship, educational policies, intellectual capital. Simona Goia has extensive international experience in the field of social entrepreneurship both on academic and practical level. Shahrazad HADAD is currently a teaching assistant at The Bucharest University of Economic Studies (BUES). Since 2012, she teaches within The Faculty of Business Administration (English section), the following subjects: Business Management, European Business Environment, Business Strategies, Scientific Seminar and Social Entrepreneurship to undergraduate and graduate students. Also, she is publication manager, editor and member of the organising committee of “International Conference on Business Excellence”, pertaining to the Society for Business Excellence. 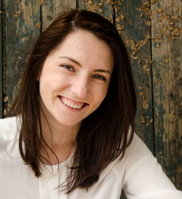 Oana Pop: Oana Pop - coach, facilitator and organizational consultant. With extensive experience in sales and marketing in the IT industry, Oana is currently working with entrepreneurs and their teams supporting them to create a lean, responsive and performance oriented organizational culture. She has 2 international certifications in Executive Coaching and Systemic Facilitation and Coaching, and she is also pursuing a master’s degree in Integrative Psychotherapy. Oana is volunteers as a coach and mentor for student personal development programs. 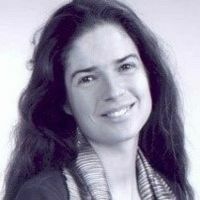 Roxana Maria Triboi: is an urban planner with more than 10 years experience in urban planning and landscape architecture in Romania and France, with a special interest in sustainable food planning and environmental issues. 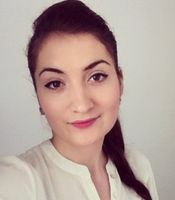 Alexandra Timofte: Alexandra holds a Master of Arts in Development Studies and Ethics in International Relations and another MA in Intercultural Management (both at the University of Bucharest). Previously, she graduated from the Academy of Economic Studies with a BA in Economics and International Affairs. Her professional experience reflects her affinity for the civil society and the NGO sector, as well as her interest in international cooperation and development (currently working at FOND – The Romanian NDGO Platform). She is also involved in urban development, community engagement, and active citizenship (collaborating with Creative Room Association, Progress Foundation, and others). Dr Roger Evans: Roger Evans is a Specialist with the Estonian University of Life Sciences (Eesti Maaülikool) and owner of a small project development/ management company working in the field of rural community and tourism development, micro business development, social entrepreneurship, training and curriculum development for rural tourism, craft and local food production, rural community and rural development education in the Baltic States and Europe. He is working with the Estonian Government, Tallinn City Government and the Estonian Social Enterprise Network to create opportunities for increasing social enterprise. Tarmo Pilving: Tarmo Pilving is a PhD student (research topic "Cooperation and partnerships between private, public and nonprofit stakeholders in Estonian rural tourism"), lecturer In Estonian University of Life Sciences and nature tourism entrepreneur. Riinu Lepa: Riinu Lepa is a social entrepreneur in Estonia. Her enterprise promotes and sells local farmers food in Tallinn. Riinu is a board member in Estonian Social Enterprise Network and is mentoring and teaching social entrepreneurship in universities and other educational programs. 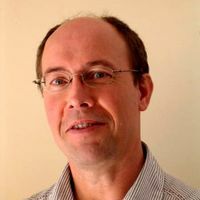 Jeroen de Vries: Jeroen de Vries is a registered landscape architect combining professional practice with teaching and applied research. Main themes in his work include design for biodiversity in urban areas, sustainable urban planning and design of local foodscapes. 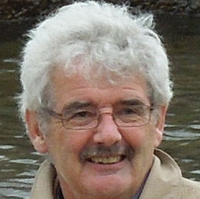 He teaches in sustainable landscape architecture, landscape management and planting design. 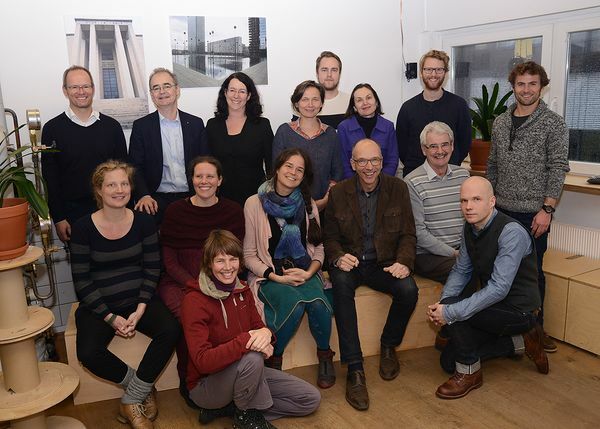 Jeroen is a board member of the LE:NOTRE Institute. 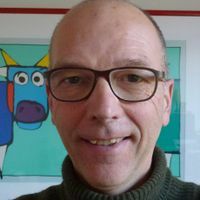 Daan van der Linde: Daan van der Linde is a lecturer in Rural Development and Sustainable Development and specialises in Multi-Stakeholder-Process for spatial development. He is presently working at the department for Forestry & Nature Management at VHL. He has also organised a number of International IP-Courses on rural development and climate/environmental subjects in Europe. This page was last modified on 29 May 2018, at 12:02.